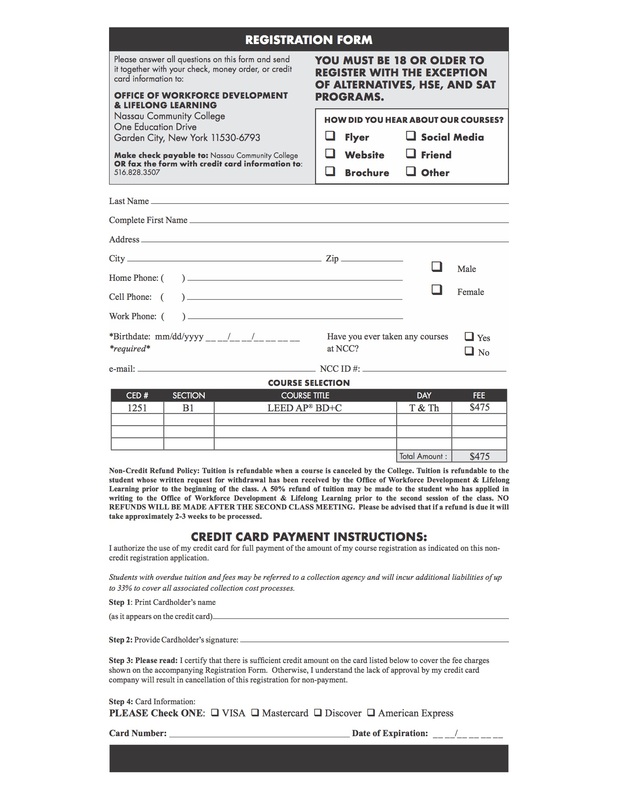 To enroll in the LEED AP BD+C Certification Exam Prep Course, please fill out the Registration Sheet and mail it to Nassau Community College. The LEED AP (Accredited Professional) credential signifies an advanced depth of knowledge in green building practices; it also reflects the ability to specialize in a particular LEED Rating System. With this LEED AP Building Design and Construction training, you will learn the requirements and calculations required for all of the LEED credits. Completing this course will prepare you for the prestigious LEED AP accrediation, by allowing you to focus your study efforts, ease your tension, and help you pass the exam! 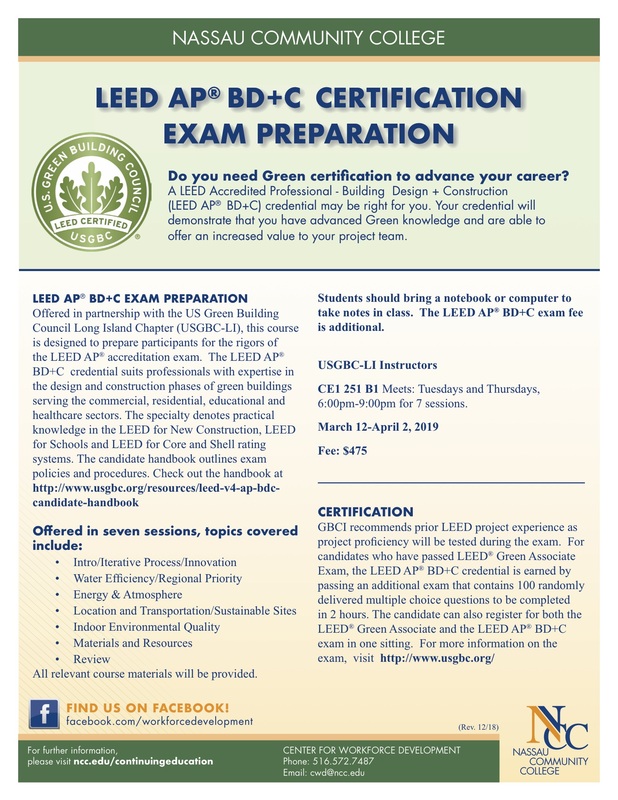 * To take the Exam that earns you LEED AP BD+C accrediitation, USGBC National requires that you must take the LEED Green Associate Exam first. Each test provides you with a maximum of 2 hours to complete. These two exams can be completed on the same day, or seperately, as long as the LEED GA exam is taken prior to the LEED AP BD+C Exam. If you have any questions about this Course, please contact Daniel Busi at Dbusi@usgbc-li.org. Thank you.